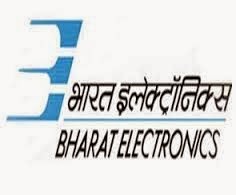 BEL Optronic Devices Limited (BELOP) is a subsidiary of Bharat Electronics Limited, a Navaratna Central Pubic Sector Enterprise under Ministry of Defence, Govt of India. The company is involved in the manufacture of Image Intensifier Tubes and associated Power Supply Units for use in Night Vision Devices. Company requires 03 Mechanical Engineers and 07 Electronics Engineers on Contract Basis for a period of ONE year for its Manufacturing Departments. Qualifications:First class in BE / B.Tech (Electronics / Electronics & Communication / Electronics & Telecommunication; Mechanical) from a recognized University/Institution. Experience : Minimum of six months in the similar area preferably in Engg. Industry is desirable. How to apply: interested Candidates may apply in the prescribed format and mail the filled in application to hrd@belop.co.in on or before 20.08.2014.